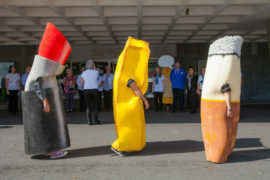 Plymouth Art Weekender is an ambitious three day event that takes place annually across the city. Now in its 4th year the Plymouth Art Weekender is an annual 3 day city wide celebration of art, showcasing talent from the city and beyond with a diverse range of events; from exhibitions, performances, screenings and interventions to workshops, guided walks and parties. The Weekender is unusual in that it provides an open and inclusive platform for anyone wanting to organise an art event, from big galleries and organisations to local art students. 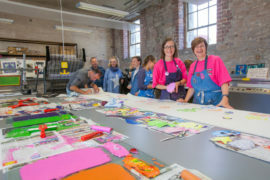 This approach comes directly from Visual Arts Plymouth (VAP), the organisation behind the Weekender which is made up of a diverse group of volunteers representing visual arts organisations, communities and artists from across the city. 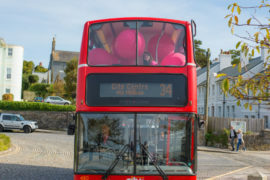 VAP’s mission is for the Weekender to confidently celebrate Plymouth, it’s people and the visual arts, promoting the city as the exciting contemporary art destination that it has become. The Weekender confidently celebrates Plymouth, its people and the visual arts, promoting the city as an exciting contemporary art destination. The Weekender showcases a wide and diverse range of activity for all ages including a large array of events and exhibitions throughout the city by artists working in Plymouth and further afield. 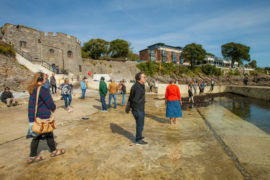 This year Plymouth Art Weekender coincides with the launch of The Atlantic Project, a new international festival of contemporary art, taking place in public contexts and outdoor locations across Plymouth, from 28 September- 21st October 2018. Plymouth Art Weekender is coordinated by Visual Arts Plymouth and funded through the city wide Horizon project, a collaborative programme developed between Visual Arts Plymouth, KARST, Plymouth Arts Centre, Plymouth College of Art, Plymouth City Council, University of Plymouth; funded through Arts Council England’s Ambition for Excellence fund and supported by Plymouth Culture.